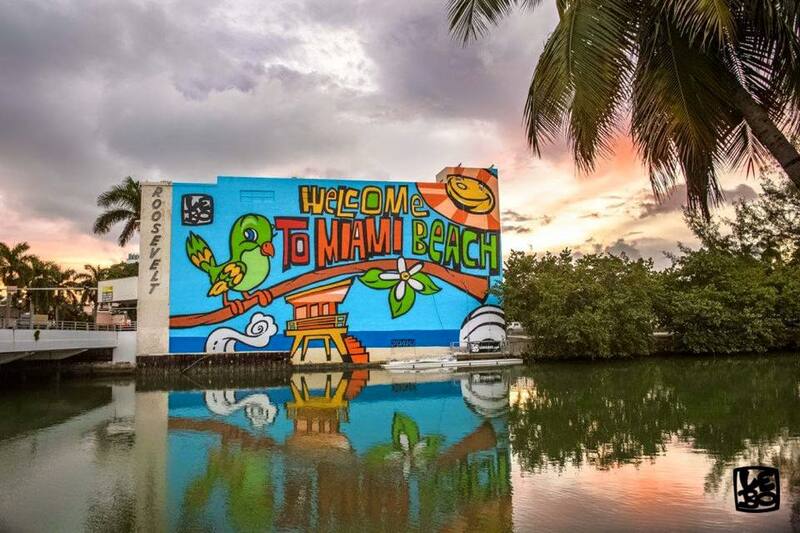 A bright mural created by Lebo welcomes visitors to Miami Beach. The “Welcome to Miami Beach” mural was completed in early October 2016, the result of months of hard work and planning. Lebo says he funded the mural project after he and his marketing partner discussed the idea. Lebo’s ascension in the art world is thanks in part to his mural art. By creating murals around Miami early in his career, he gained recognition and exposed more people to his artwork. 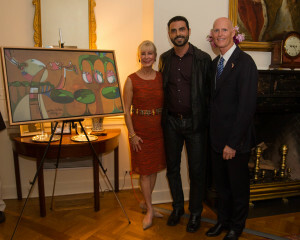 His murals can be found all over, such as the American Airlines Arena in Miami, Calle Ocho, Hart Plaza in Detroit and Hotel de Artes in San Francisco. 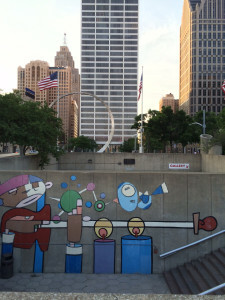 Lebo’s mural in Hart Plaza, located in Detroit. Lebo, who was born in New York but raised in south Florida, says he is happy to represent the city where he grew up and currently resides. In addition to his latest mural, Lebo represents Miami with his hull artwork found on Norwegian Cruise Line’s ship, the Getaway. 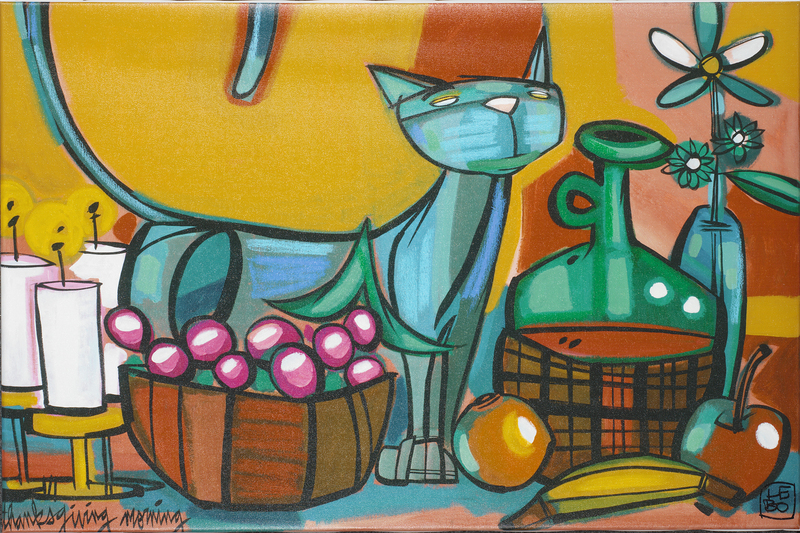 For more Lebo art, be sure to check out Park West Gallery’s online Lebo collection.